What a cool freaking photo. You can click to enlarge it. Question: Everybody in front of him in this photo, are they gonna be pissed nobody is using their photo… or thrilled they are in this one? Ponder away. Congrats, Adam Scott. Thanks again for making it a Masters Sunday to remember. 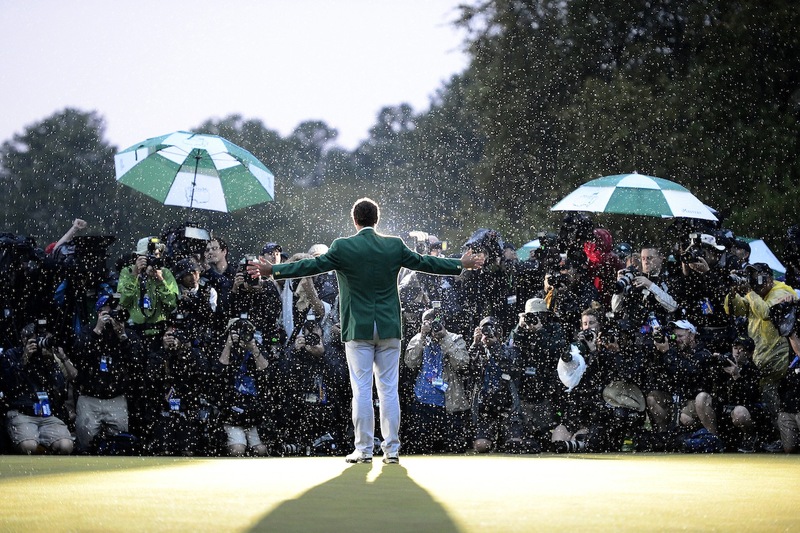 This entry was posted in Golf and tagged Adam Scott, cool photo of adam scott in the green jacket, Golf, Masters. Bookmark the permalink.